If you wouldn’t drink water from a plate, then you shouldn’t use a traditional document editor to generate business proposals. Doing so is time consuming, and it often results in proposals that don’t look professional. 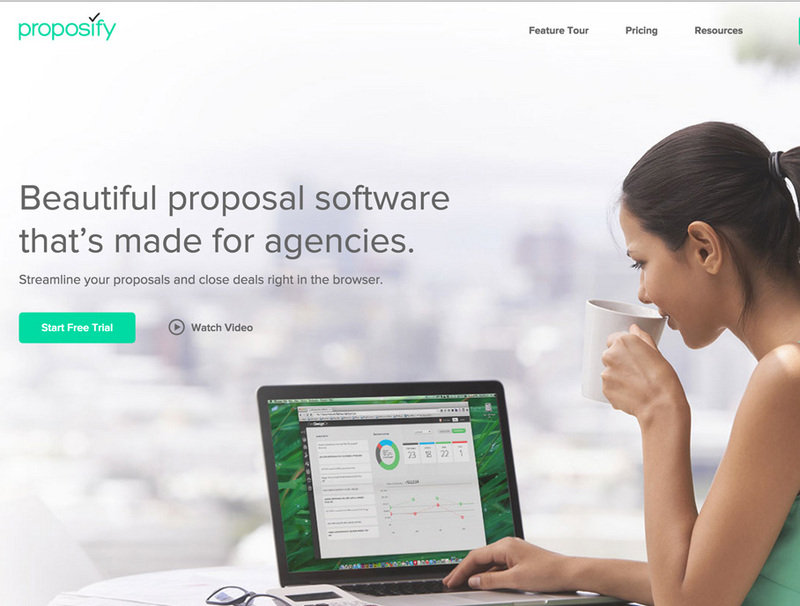 Rather than trying to use software that wasn’t created for the job at hand, Proposify believes business owners should try out its service for generating, sending, and tracking the results of online proposals. Proposify has designed multiple templates with content based on your business industry. (For example, a video production template will have different content than a template for inbound marketing.) In addition to selecting your template, Proposify lets you choose a theme. Custom branding is available through the theme editor, which enables you to change the font, color, and layout of your documents. Save time by storing content sections in your library and reusing those sections in future proposals. When your proposal is ready to send, you can download it as a high-resolution PDF or direct the client to view it on a branded web page. From this web page, the client can view, accept, and sign off on the proposal right from inside his or her browser. One of the ways that Proposify stands apart from competing applications is through the metrics that it provides businesses. Users can track things like win/loss ratios, and they can review how those metrics have shifted or changed over time. With this information in hand, businesses should be better able to tailor their proposals for maximum success. I was searching on internet related to proposal management stuff and landed on your bog post. I remember, once earlier I landed on a blog post of yours and that was quite informative and helped me to find the right path.